This tilt in space commodes has been designed for individuals who can not be positioned safely or comfortably in a standard mobile shower commode. 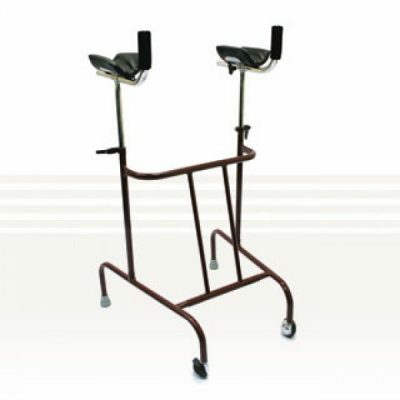 In its design, offering a mobile shower chair, over toilet and commode chair all-in- one solution. 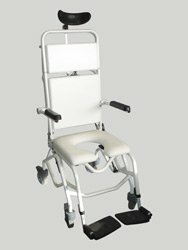 Features such as the gas mechanism for reclining commode allows the carer to operate the tilt with smooth action, thus giving the user confidence and reduced anxiety. Ideally this tilt in space shower commode is perfect for all multi user situations such as special accommodation house, aged care/nursing facilities and hospitals. Provides great functionality and comfort with its angle adjustable headrest, padded backrest and seat, removable backrest extension section, simple to use swing-up arms and height adjustable swing up foot plates. Manufactured from powder coated stainless steel tube and comes with 4 lockable 12cm castors. Specifications: Seat width 45cm, seat height 54cm, seat depth 43cm, Overall height 140.5cm, width 57.5cm, depth 92cm. 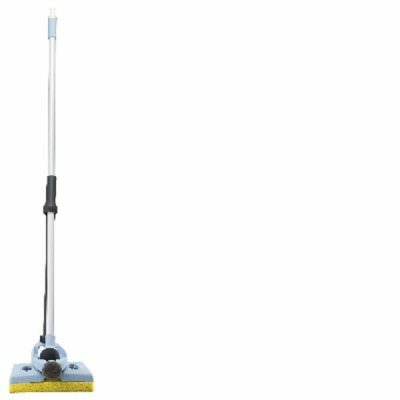 Height without backrest extension 100cm. Safe working load 100kgs.